Have you ever considered how you brush and floss your teeth? For the most part our Novato dentist patients have brushing and flossing covered. However, there are times when common, yet easily correctable, mistakes become apparent. As a dentist Novato residents trust for their oral health needs and preventative dentistry, know with confidence that we can help you get the most out of brushing and flossing. Common mistakes when it comes to brushing center around timing and motion. Our Novato dentist and the ADA recommend brushing for two minutes each time you brush. If you brush the recommended two times per day; that is only four minutes of brushing. You can do anything for 4 minutes. Brushing for less time means your teeth are not getting as clean as they should be. Take care of what your oral health needs by spending the right amount of time brushing. Add in an extra minute of flossing and you’re set for the day. The toothbrush works best at a 45 degree angle. Use slow, gentle circles when brushing; don’t brush back and forth and side to side. Circles cover more surface area when you brush and help your gums remain healthy. 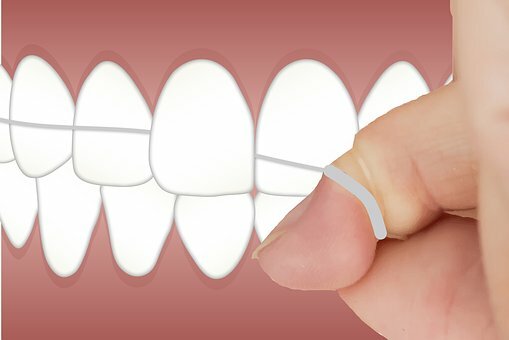 Flossing should take place once every day. The purpose of floss is to help clean between the teeth where toothbrushes may not reach. Floss your back molars and don’t avoid teeth that are too close together. If you have a problem with teeth crowding, talk with us about alternatives. A water flosser may help you out or a simple Invisalign treatment plan. A healthy hygiene regimen will keep your teeth, gums, and smile in great shape. Add in a couple visits with our Novato dentist each year and you’ll be all set for a healthy mouth. Address any oral health needs you may have with us and feel free to ask us to demonstrate proper brushing and flossing. We’re always happy to help. Join us on Facebook for more great tips and get ready to make those smiles shine!